There is 3 kinds of length for choice: 1 meter, 1.5 meters, 2 meters. The price is for 1 meter power cable, plus $5 USD (+$5 USD) to get 1.5 meters cable, plus $10 USD (+$10 USD) to get 2 meters power cord. The power cable come Without Original Box Packing. If you need the Original Box, please plus $20 USD for shipping to get the Original Box Packing. 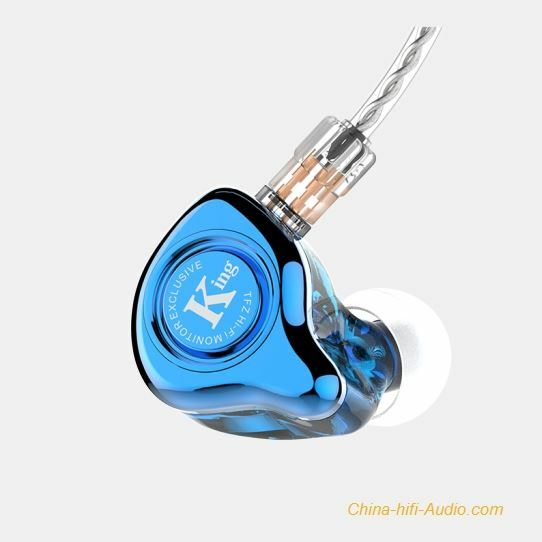 Most of audiophiles want to listen the nicer and nicer sound from their hi-end audio system. Usually, change tubes, cap, get some best RCA audio cable, get a good rack, good speakers cables. 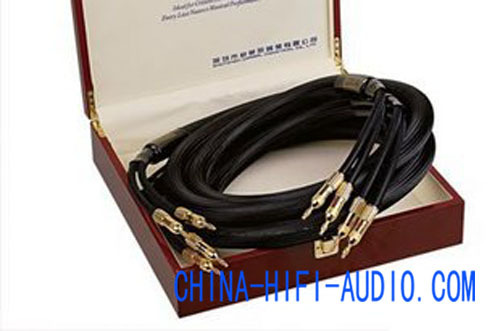 When the sound get nicer and nicer, some audiophiles try to use a good amplifier power cable which he think the best to test. Wow, the sound get better, and tell his audiophile friends that he change a hifi amp power cable and get the sound he love. So, more and more audiophile change some hifi power cable. 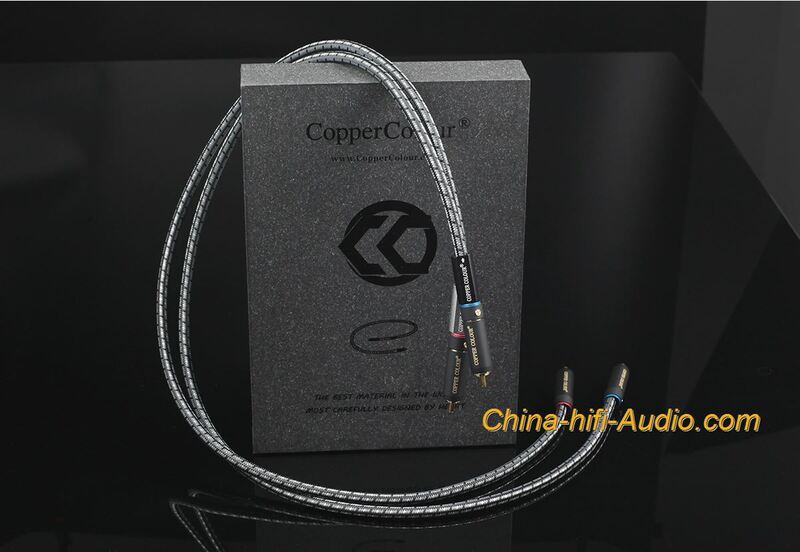 I am a hi-fi audio seller, I want to know why a audiophile power cable have the magic. I ask the audiophile why, he don't answer me, and tell me he love the Hi-fi power cord, love the sound. Why a audio power cable change the sound? 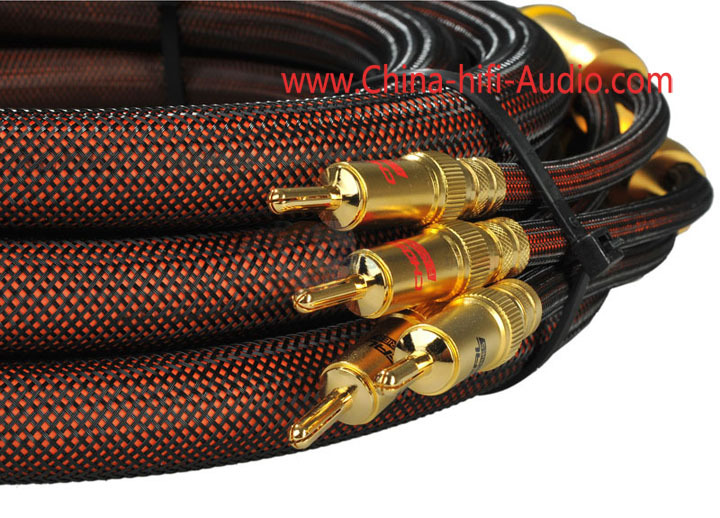 Usually, the RCA audio cables and loudspeakers cables can be easy to be understood. Why? I want to get the answer. I try to compare the hi-end power cables. I find most of the hi-fi audio power cables have something same features. Input jack and the cable connect well and reliable. Using the best cable material like OFC(Oxygen-Free Copper), single crystal copper ((OCC)Ohon Continuous Casting) (OCC is the best audio cables material). The cables's wire is very thick to ensure good electrical conductivity. The plug use the pure copper, and Gold plated to guarantee to connect well and reliable with the power socket. A Magnetic metal ring effectively suppress electromagnetic radiation. copper wire gauze shielded all the electromagnetic interference. 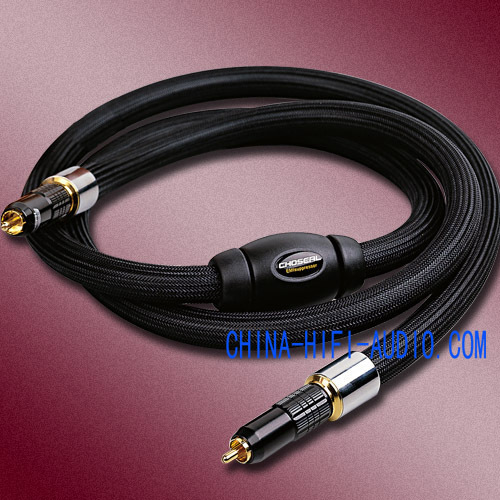 I think, a hifi power cable have all the features above, it have nice sound. that is why a good power cable get a nice sound. It is so nice sound power cable, get one to listen. It is most suitable for high-power Class A auido amplifier. You will hear the full sound. Especially in drum fluctuations, big or small account of physical is very clear. Also has a realistic sense of the stage and the sound field. Because the Choseal PB5702 power cable has not particularly strong personality, it can be used with any hi-end audio equipment. This Aduio power cable make all the audio system to present the most perfect play. This Choseal PB5702 power cable using a EURO power plug, it work well with the European hifi amplifier. You know, in Europe, the voltage, positive electrode, negative electrode, earthing, phase are not the same as US plug. Some Audiophile use a US plug power cable in EUR, it is not good and safe enough. This EUR Schuko plug cable is the best choice for Audiophile amp in Europe, get one for your hifi audio.